Buddhism is the 4th largest religion in the world with followers panning all across the globe. There are numerous special and holy days dedicated to Lord Buddha which are celebrated throughout the year amongst the Buddhist communities. The festivals which are marked in the Buddhist calendar are celebrated with great joy and charm during its celebration. Several of these festivals are celebrated as birthdays of other Bodhisattvas which are a part of the Mhayana tradition. 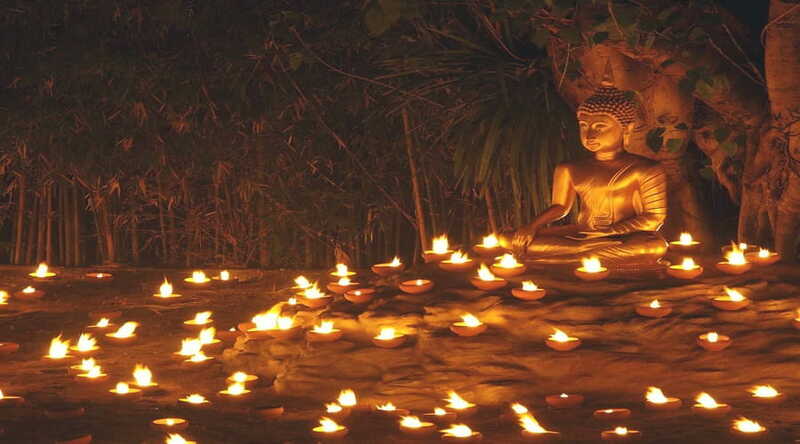 However one of the main and the most significant celebration of Buddha occurs every May during the full moon night, and it is during this time Buddhists all over the world celebrate the three most important stages or phases of Lord Buddha’s life which are birth, enlightenment and death, which happened almost 2,500 years ago. Each Buddhist festival is joyfully celebrated across the important Buddhist pilgrimage destination. On such festivals Buddhists visit monasteries and offer their prayer and food to the monks and listen to the talk of Dharma. The entire festival days are complete with chanting of Buddhist teachings and calming meditation. Celebrate with great vigor in most parts of East Asia this day marks and commemorates the birth of Gautam Buddha. Also known popularly as Buddh purnima this day is celebrated with great pomp and show across the subcontinent. It is celebrated on the full moon day of the Vaisakh month which falls between the months of April and May. It also marks the enlightenment and death of Lord Buddha. This festival commemorates all the important and relevant phases in Buddha’s life. During this time all the Buddhist stupas, temples and monasteries are elaborately decorated and completely decked up with flowers, incense and devotees chanting soulful rhythms in unison. If you can, then it is advised for you to plan your monastery trip accordingly, during the time of these Buddhist festivals to witness one of the most peaceful times. Traditionally known and celebrated at Tibetan New year this day is celebrated with immense vigor and vibrant celebrations all along the length and breadth of the subcontinent. 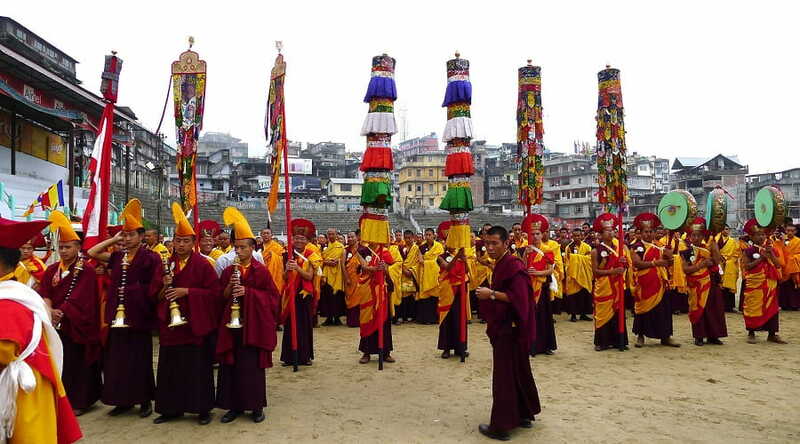 Losar celebrations is said to have began way before Buddhism. The story of Losar involves the story of an old Tibetan woman who is said to have introduced the measurement of time which is based on the phases of the moon. Buddhists from all over the country dress up in colorful clothes to mark the occasion and spend time with their friends, families and loved ones. They prepare mouth watering, traditional Tibetan cuisines like, Guthuk, crispy khapse among other delectable preparations. One of the most fun attractions during these celebrations involves traditional dancing and singing performances by the lively and vibrant cham dancers. These performers also enact the triumph of good over evil. 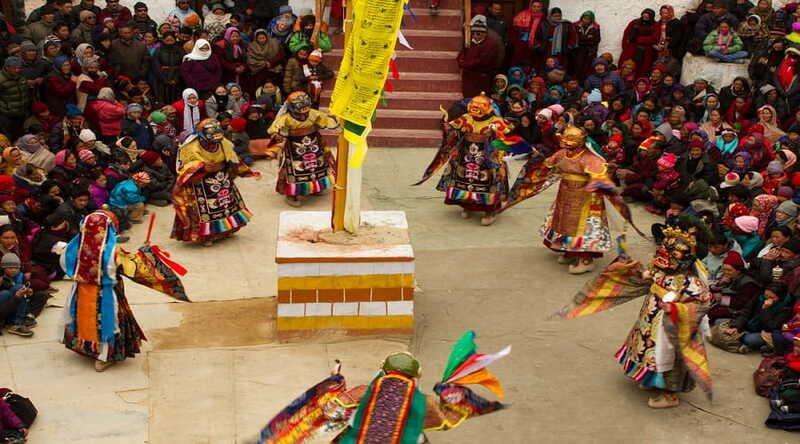 Celebrated in the Hemis monastery of Ladakh, this is one of the most famous and highly revered festivals in India. People from all over the world gather at this quaint old monastery to be a part of this festival every year. This festival is celebrated and dedicated to honor Guru Padmasambhava or Guru Rimpoche, who was regarded as one of the reincarnated forms of Lord Buddha himself who had a massive hand in spreading Buddhism. He had also devoted his life to towards the betterment of the humanity. This two days long festival devotees can be seen dressed in colorful and bright attire who visit the monasteries that pay homage to the shrine of the lord and prepare delicious cuisines and feats which they enjoy with their family and loved ones. During this time the monks can also be seen performing dances which is a part of ritual for this wonderfully elaborate festival. Popularly known as the ghost festival this festival is celebrated during the 7th month of the lunar calendar. This occurrence coincides during the month of August. This festival is celebrated with great charm and vigor among the Buddhist communities. It is believed that during this festival the gates of hell are thrown open and the dead are allowed to enter the earthly realm and pay their loved ones a visit. Opulent offerings are made during this time to the ancestors while encouraging the act of charity among people. This festival is celebrated with great gusto especially in China, Malaysia and Singapore. Ullambana is also considered to be one of the most fun and charming festivals in India which is also considered to be one of the most memorable experiences. This particular day marks the day Buddha had given his very first discourse to a group of his five friends after achieving his enlightenment. This was the day when Buddha had spoken openly about the essence of his experience, learning and future teachings. This particular day also marks the time of beginning of the retreat of rain or the beginning of the month of monsoon. The monks and nuns put a stop to their wanderings and retreats to stay in their monasteries in order to follow their meditation. 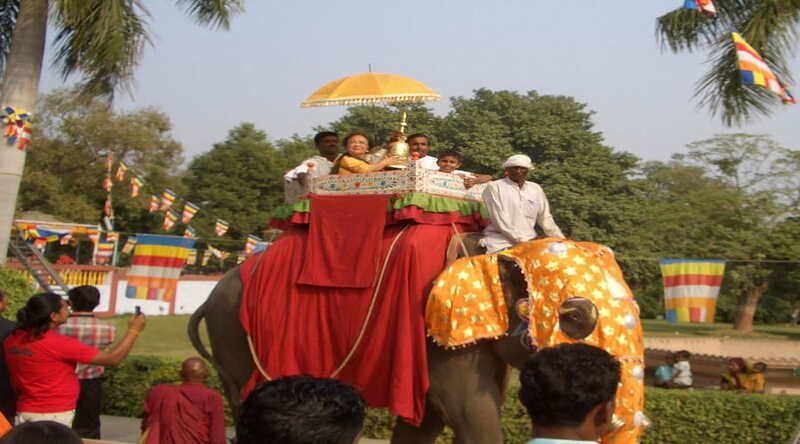 This gathering and meditation starts on the day of dhamma while it concludes on Pavarana. 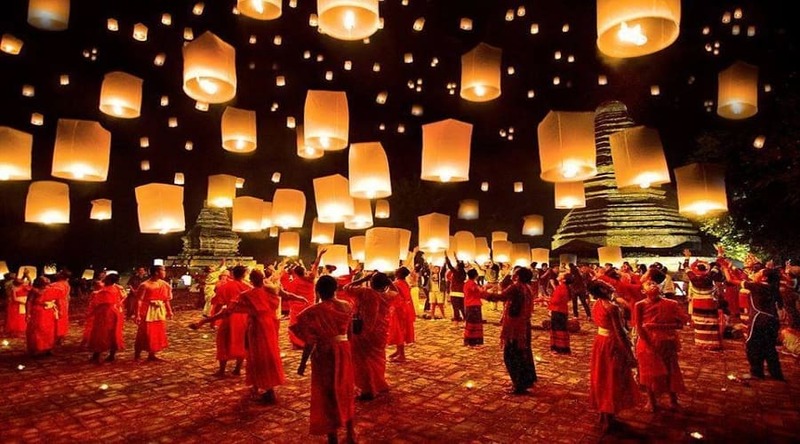 Typically it takes place during the month of July and pans across countries like, Cambodia, Sri lanka, Laos, Myanmmar and other countries that observe Theravada Buddhism. 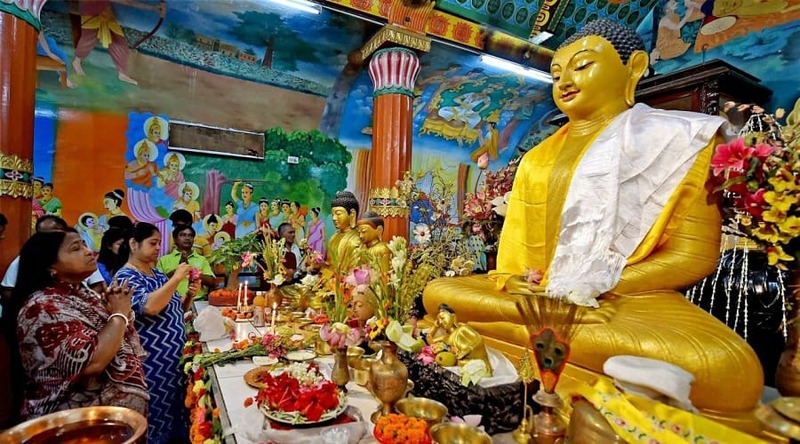 This Buddhist festival mark the occasion when, Lord Buddha had delivered his sermon and learning to 1250 arhats or also commonly known as, high priests. Sangha is a term which describes the Buddhist community as a whole where people also exchange gifts and good tidings with each other. This procession took place at Vervana monastery post the first rain retreat. Among the Buddhist communities during the vassa month monks take part in a strict dose of meditation. Considered to be the 2nd most important Buddhist festival the celebrations are done with extreme grandeur and reverence. This festival also acts as the chance to reaffirm their commitment to the Buddhist practices and traditions. This day of the festival marks the end of the three month rain retreat which begins during the Asalha day. As per history, monks who stayed together for a three month long rain retreat decided to stay silent for the good of one another in order to avoid any sort of conflict. Upon hearing this, Buddha disapproved this notion and urged these monks to come out of this condition and discuss openly their likes and dislikes which would benefit their community in its wholesome entirety. This is how one of the most age old traditions in Buddhism commenced with the monks discussing the like sand dislikes of their life in monastery or commonly known as Pavarna Day.